LED sign screen advertising display, Poster screen display advertising screen. Special design LED Sign Screen Display Poster for Advertising Event Decoration. 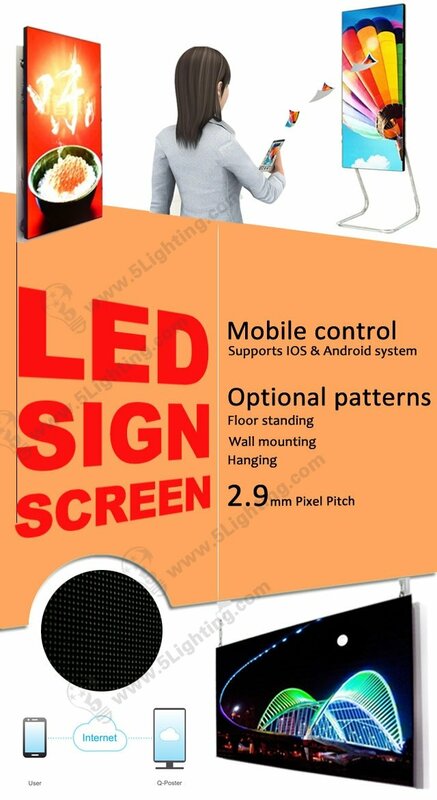 c): Unique design led screen advertising can be programmed and edited through mobile device, and the mobile software APP supports Android & IOS system.